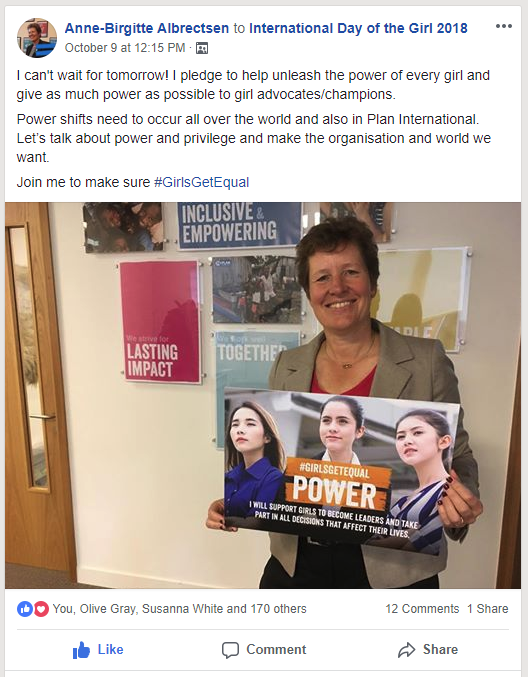 Plan International have to communicate with and engage 10,000 staff around the world who help advance children’s rights and equality for girls in over 75 countries. One month in, their new engagement platform Workplace is already helping staff work better together. So claims Ben Roche, Head of Internal Communications and Engagement at INGO Plan International, following the launch of Workplace by Facebook and the revamp of their global intranet, Planet. 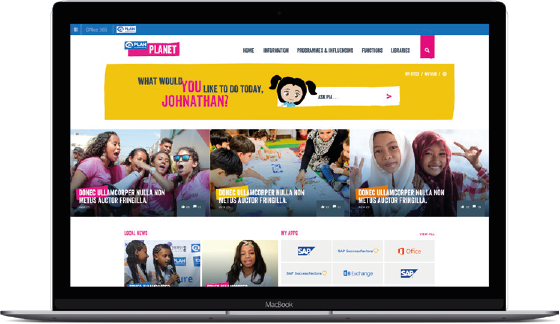 Plan International is an independent development and humanitarian organisation which works in 75 countries across the world to advance children’s rights and equality for girls. It’s one of the world’s largest organisations working for children’s rights and gender equality, supporting children in over 53,000 communities globally. It is a billion dollar turnover organisation with over 10,000 staff worldwide. 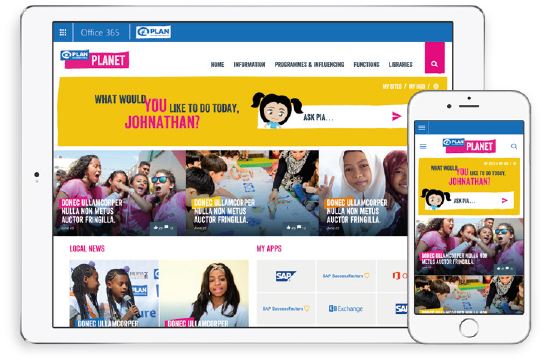 The new O365 intranet is called Planet and it went live on 26th September 2018 replacing an old SharePoint site of the same name. We used Azuronaut to join the dots. We looked at Yammer, but because many of our domains are on different tenancies it was hard to integrate them into one Yammer network. 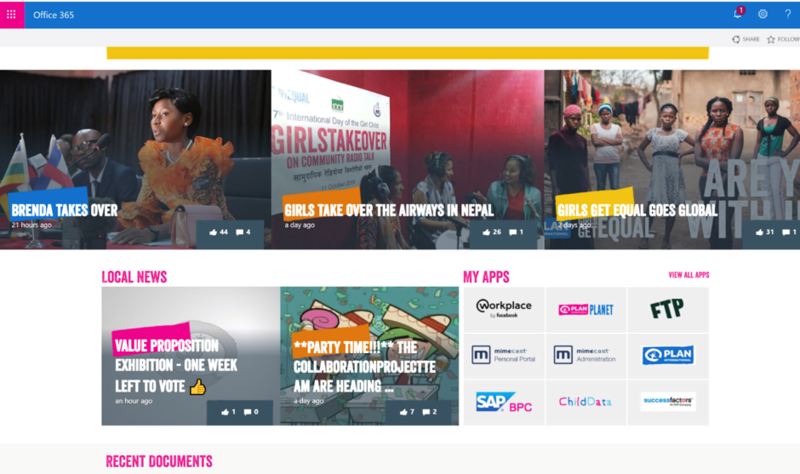 Those integrations included the creation of the Plan International Assistant chat bot (Pia to her friends), who can search the site and provides a link to the organisation’s popular applications and files. Workplace has matured considerably over the past couple of years. But the Facebook product still does not have many parts you can configure or tailor and so we needed to know if this was a good idea. If we were to implement Workplace just on its own, it would have been a nonsense for us. So Azuronaut helped us with the SharePoint upgrade and to do the integrations. 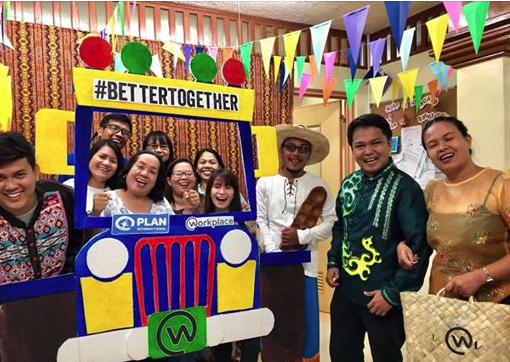 The launch of Workplace was six months in the making, and involved building a network of champions across all Plan International offices. Advice from other organisations already using the platform was hugely helpful. “We connected with Save the Children early on,” explains Amy Maher. “They have been using Workplace for a couple of years on a global basis and we were able to learn from their experience of what worked and what didn’t. The project benefited from a soft launch with 1,000 early adopters in July before the global launch in September. The team pre-created 200 groups for go-live and pre-populated them to encourage adoption. These informal, open networks are proving popular. So far only one has elected to become a closed group. On launch day CEO Anne-Birgitte Albrectsen filmed a two minute office walk-around on the day of the launch, welcoming colleagues to the new platform. “It’s a lesson for us professional communicators,” admits Ben. “We don’t need to perfect every production for them to succeed. Filmed live by AB on her phone, the video quality could have been better and the sound fades in and out. It wasn’t a corporate video by any stretch, but an honest reflection of excitement at the launch of Workplace, and staff really responded to this. The video has had 2,400 views, 63 comments, and over 350 reactions (likes) to date. When I interviewed the team, Plan International had just had a busy few days. Originally Published By: Simply Communicate.